Dr. John Livoni got his medical degree at University of California Davis School of Medicine and his internship at University of California Davis. He also decided to do his residency at University of California Davis. 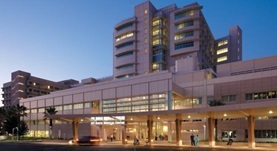 He is board certified in diagnostic radiology and affiliated with University of California, Davis Medical Center. Dr. Livoni has over 20 years of experience in the radiology field. Dr. John P. Livoni has contributed to 3 publications. Multiloculated chronic posttraumatic aneurysm of the thoracic aorta with late acute rupture. Livoni, J. P., Bogren, H. G.; Cardiovasc Intervent Radiol. Unsuspected mediastinal hematoma diagnosed by computed tomography. Siefkin, A. D., Igarashi, P., Allen, R., Livoni, J.; J Comput Tomogr. Regulation of Nitrate Uptake in Penicillium chrysogenum by Ammonium Ion. Goldsmith, J., Livoni, J. P., Norberg, C. L., Segel, I. H.; Plant Physiol.